After the release of Apple’s new update 7.1/7.1.1, the necessity to jailbreak has been reached the summits. Many of the websites started posting many False procedures, making the users to brick there lovable smartphones. Most of iPhone users today are trying hard with different search combination to find out the process to unlock there iPhone or any iDevice running with iOS version 7.1+. I will explain the truth regarding the Jailbreaking process of the iOS 7.1 and above. Most of the unlocking tools like Evasion, Cydia and RedmondPie that we use for jailbreaking the iOS from Version 7.0 to its final successor 7.0.5 have been successfully able to jailbreak the device without causing any bricking to the phone. After the advent of new updates i.e 7.0.6 to 7.1.1, jailbreaking seems to be little impossible and hackers are working for a final successful process to make the jailbreak happen. Jailbreaking your iPhone with the famous evasion and Cydia duo can unlock your iPhone to a myriad of new features, that unveils the phone to its next level of usage. There are obvious advantages towards jailbreaking your iPhone. Sometimes the jailbreak process is easy, other times it is not. The newest version of the iOS, mainly iOS 7.1, hasn’t received a working jailbreak yet. Not until now. The problem with jailbreaking your iPhone is that once you do, it becomes increasingly difficult to update to a new iOS version, and if you do, your jailbreak will most likely fail. 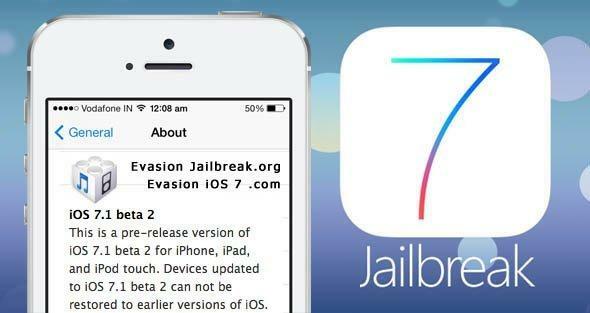 An iOS 7.1 jailbreak wasn’t possible until recently, but it seems it now finally is. The catch? It seems not all iPhones are getting a viable, working iOS 7.1 jailbreak. In fact, for the moment, the only device that gets a working jailbreak is an older one, mainly the iPhone 4. Why not the iPhone 5? Well, it’s simply easier for hackers to break older devices. So far, the iOS 7.1 jailbreak only works on iPhones that use Apple’s A4 processor. So if you’re the proud owner of an iPhone 5, you might want to hold off from updating to iOS 7.1. Once you do, you can pretty much kiss your jailbreak goodbye. iPhone 4 owners are luckier, at least for now. That’s not to say the iPhone 5 won’t be getting a working iOS 7.1 jailbreak soon, but it’s going to take a while longer. The fact that people have managed to break the new iOS 7.1 already and provide a working jailbreak is a good indication that progress is being done, and a working iOS 7.1 jailbreak for other Apple devices might be coming soon. If anything, the resilience of jailbreakers and hackers all over the world can’t be denied or extinguished, and eventually, they will manage to provide a working iOS 7.1 jailbreak. Until then, it’s limited to the iPhone 4 and iPhone 4s. So guys, don’t get cheated with the false procedures being updated for jailbreaking the iOS version 7.0.6 and its above versions. The standard procedure will available from http://evasion7.com/ if any process is available.